This Grade II listed building just south of Highbury Corner functions not only as a place of worship, it is also one of London's most unique and enchanting live music venues with a diverse and enticing list of upcoming events. There's something quite magical about this place and you will be hard pushed to find a more memorable location to listen to live music in London. The Chapel has seen over a century's worth of visitors come through its doors and has welcomed artists such as Bjork, Tori Amos and Fionn Regan to the stage in recent years. Performers are framed by the stained glass window and the space is lit with the warm glow of church candles. A fully licensed bar is open on show nights, and a kiosk in the Chapel provides visitors with hot chocolates and snacks to keep hands warm in those chilly winter months. 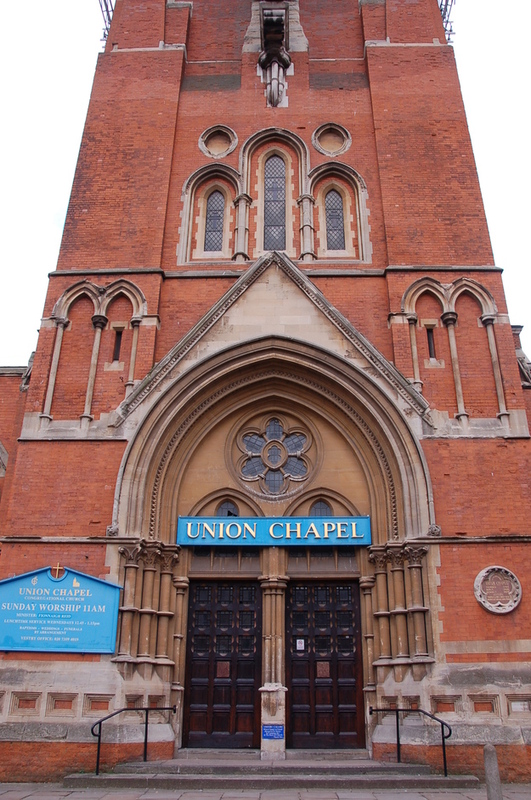 Apart from providing Islington with lots of fine entertainment the tireless Union Chapel volunteers also run a vital support service for local people facing homelessness and crisis, with a drop-in session on Sundays where visitors can receive a hot meal, a shower and some advice. Parts of this large rambling complex are also available for hire, so well worth considering if you're after something special for a private party, conference or festival. Indie-rock from the Brooklyn-based three-piece. Grammy and Oscar-winning singer-songwriter from Texas. Country and pop singer-songwriter, Rouse, is joined by iconic, alt-pop and Americana troubadour, Phillips. The enduring pop star and entertainer performs tracks from his album Restless Years and memorable moments from 16 hit albums and 26 hit singles including Thunder In My Heart, Moonlighting and You Make Me Feel Like Dancing. Florida-based melodic rock and acoustic roots outfit. The classically trained pianist and composer transcends genres and is an established streaming star. Musical comedy from the Irish stand-up, author, musician, actor and playwright and his keyboard. Plus Lolly Adefope and Ed Gamble. Irish stand-up, author, musician, actor and playwright David O'Doherty headlines with support from Lolly Adefope and Ed Gamble. The virtuoso musician performs Indian classical music on the sitar, supported by tabla player Pandit Sanju Sahai. Indie-rock from the Australian singer-songwriter and guitarist performing in support of his new LP, Inferno. What are the best dining options near Union Chapel London? Union Chapel gyms, sporting activities, health & beauty and fitness. The best pubs near London Union Chapel. Union Chapel clubs, bars, cabaret nights, casinos and interesting nightlife. Where to have your meeting, conference, exhibition, private dining or training course near Union Chapel. From cheap budget hotels to luxury 5 star hotels see our deals for Union Chapel hotels, including Hilton London Islington Hotel from 87% off.